HMRC Phishing Scams – Beware! I just got really excited when I saw an email in my inbox from HM Revenue and Customs (HMRC) announcing “Auotmated Tax Refund Notification”. Great!! It’s MY turn to get some tax money back! so as to facilitate the process within 72hours of receiving the information Submitted. On files dated 04/01/2013, The following Banks are processed within 48hrs of receiving your information due to the system link up. other banks are required to allow up 72hrs. Now, apart from the fact that I know for sure I am not owed any tax back, there are a number of clues here that anyone receiving this type of email should be very wary about. The first very important point to bear in mind when receiving an email like this is – HMRC will NEVER voluntarily contact you giving you these glad tidings! It’s hard enough getting tax refunds out of them the normal way! Now, check out the really bad grammar – HMRC may be extremely annoying to deal with but by and large, they can write a good letter when they have to. The email address it’s sent from is NOT a proper hmrc.gov.uk one – why would HMRC use anything other than their own? Just be very aware that these phishing scams come around a few times a year. If you are ever in any doubt, just give us a call or ask via any of our social media sites. Don’t get caught out!! 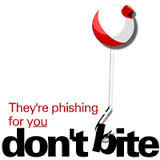 Home » Blog » HMRC Phishing Scams – Beware!